In July 2018, the NHS celebrates its 70th anniversary, and its operating systems are well and truly in need of an upgrade. 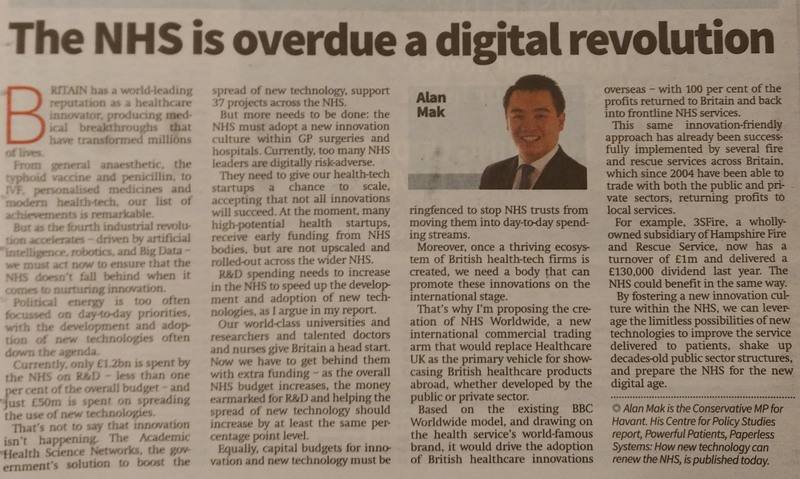 These proposals will position the NHS to take full advantage of the digital age and technological change – and save substantial amounts of money. And all such savings, says Mak, should be reinvested in frontline services, better equipping healthcare professionals to save lives. 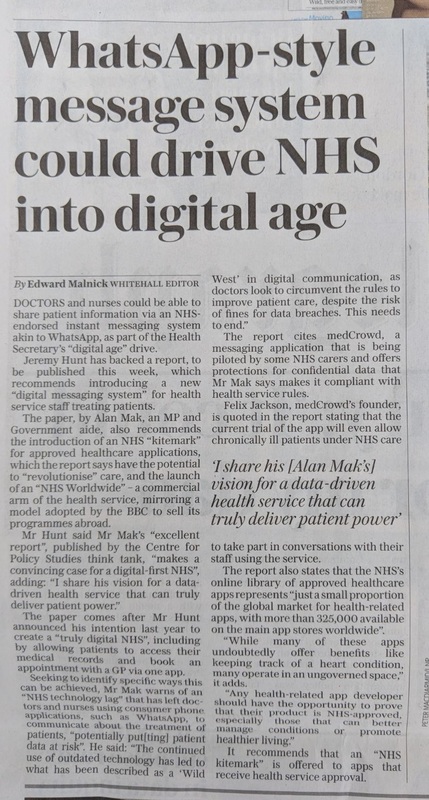 • To move the NHS from paper-first to digital-first. The aim should be to ensure that 100 per cent of all interactions within the health service are digitally driven by 2028. • To build a flourishing ecosystem of apps and innovation within and around the NHS, to better serve patients and to put them in control. • To ensure that savings from automation and innovation are ploughed back into frontline services, and that R&D and technology training see their budgets rise at least in line with NHS spending. 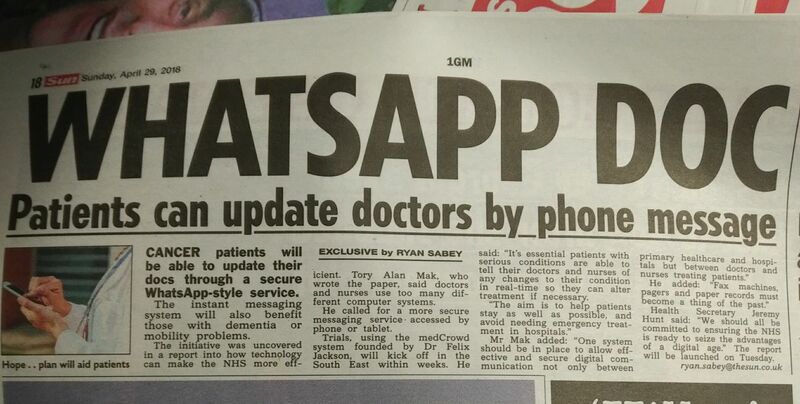 This will strengthen the NHS by saving money, fostering innovation, empowering patients and supporting doctors. The report puts forward 10 key recommendations* which the Department should report on annually to Parliament. These include technology training for medical staff, the creation of “NHS Worldwide” to sell its most innovative technology worldwide, and greatly improved use of data and apps to empower patients and improve their care. Taken together, these would create a system where digitisation was the norm not the exception. “I’ve set out a plan for the NHS to roll out new digital platforms, including a new app allowing patients to access their individual medical record, book an appointment and get their repeat prescription online. To help drive progress towards these aims, the report proposes the Department makes an annual report to Parliament which monitors progress towards 10 key recommendations. A PDF copy of the report, plus media cuttings related to the launch, can be downloaded below.